Strawberry Soup made in 5 minutes! This chilled Strawberry Soup recipe is silky, sweet and creamy and wonderfully refreshing. 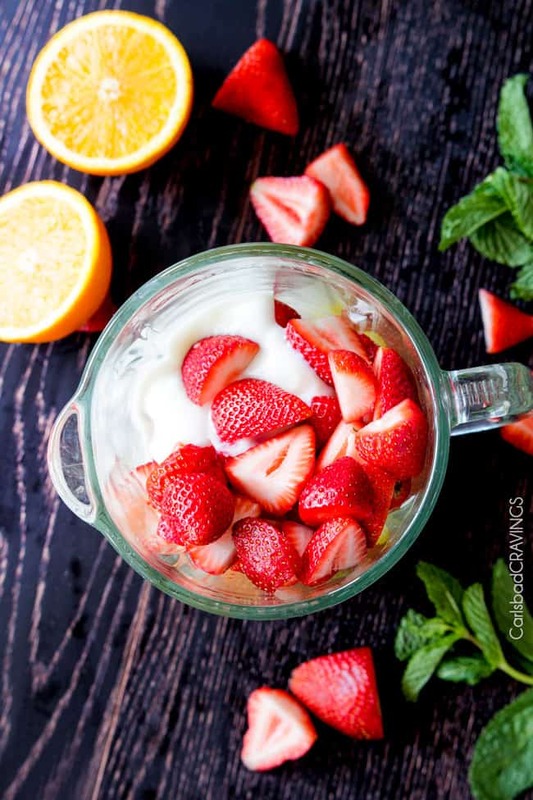 It is made with strawberries, coconut cream and vanilla yogurts all in the blender! 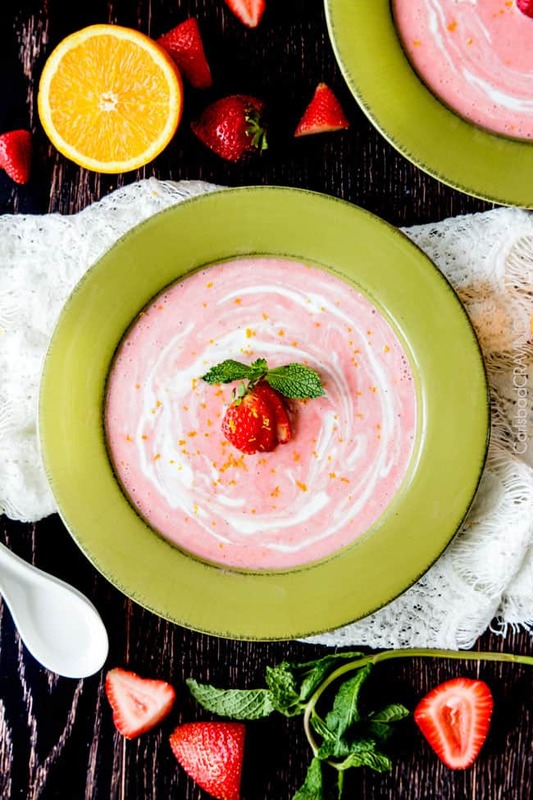 This Strawberry Soup makes a fabulous starter, festive side or make ahead dessert that will have you slurping up summer one smile at a time. Last June, I immersed myself in my first ever blogger conference – ALT 2014 in Salt Lake City, Utah. 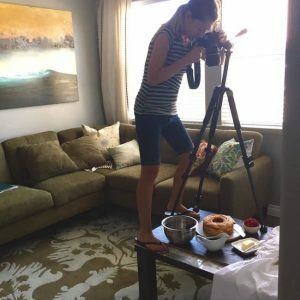 I was just a newbie blogger of a couple months and was inspired and overwhelmed at the volumes of information, people, and talent swarming all around me.You might think my most cherished memory of Salt Lake City would be soaking up the wisdom of keynote speaker, Martha Stewart, but my favorite experience of it all was discovering soothing, calming, refreshing Strawberry Soup – culinary changing.Strawberry Soup is the ideal refreshment on a hot summer day. 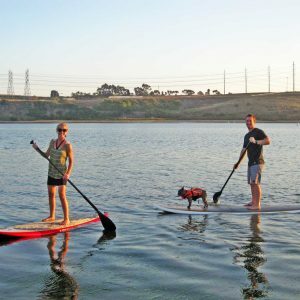 It is fabulous outdoors at a barbecue, potluck, poolside party or beach. It is also fabulous indoors at a birthday, baby or bridal shower or simply an after school or dinner delight. What Does Strawberry Soup Taste Like? 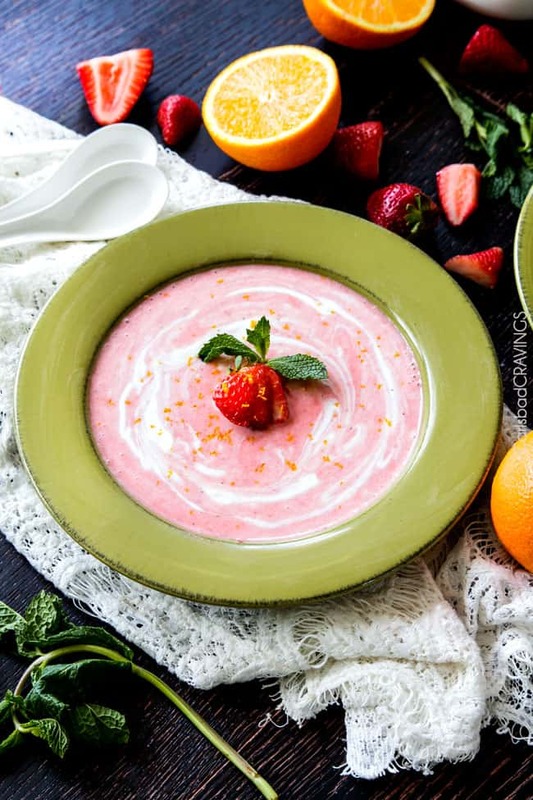 This Strawberry Soup recipe is sweet, silky, creamy and just begs to be eaten in one sitting of seconds and thirds.It tastes of sweet strawberries with a hint of coconut all balanced by citrus in the form of orange and lemon juice. 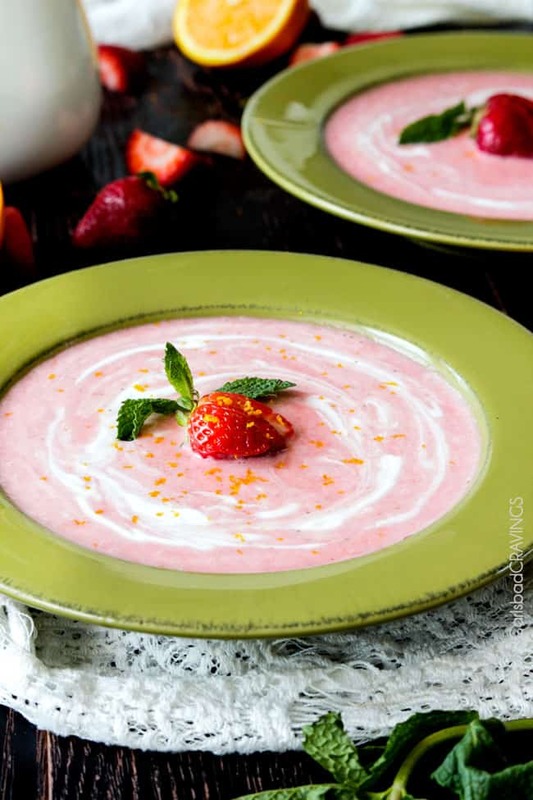 It gets a little zing from ground ginger and cinnamon to enliven the palate.You can slurp this Strawberry Soup as a side to a sandwich, salad etc. but it is more like a dessert soup because of its subtle sweetness. But just make sure you devour it – soon – however you see fit. The coconut cream is the cream that rises to the top of the coconut can. It boasts a concentrated coconut flavor that is sublime in this Strawberry Soup. You can use 1/3-1/2 cream depending on how much cream is in the can. I like to refrigerate the can of coconut milk for at least 24 hours then it is easy to scoop the cream off the top after it separates. The coconut cream adds the creamy coconut flavor but if you want to go for an almost nonfat soup, you can eliminate the coconut cream and add a little extra vanilla yogurt to add some of the creaminess back in. If you would still like the coconut flavor, then try adding a little coconut extract. I do not recommend frozen strawberries for Strawberry Soup because then you will get the consistency of a smoothie. 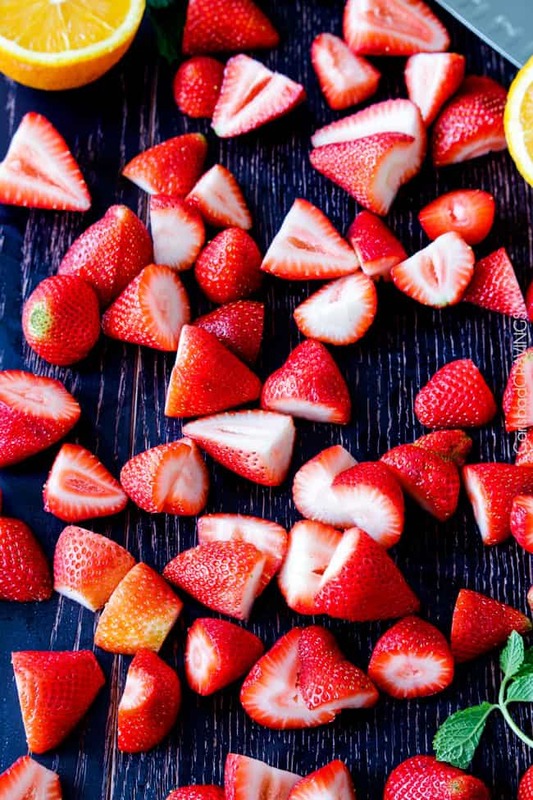 You may use frozen strawberries, however, if you defrost them first. Can I use Other Fruit? If you want strawberries to remain the dominant flavor, then I suggest sticking with the Strawberry Soup recipe as written. If you abandon expectations of strawberry flavor, then feel free to add some other berries, pineapple, mangos, etc. Is Strawberry Soup Gluten Free? Yes! 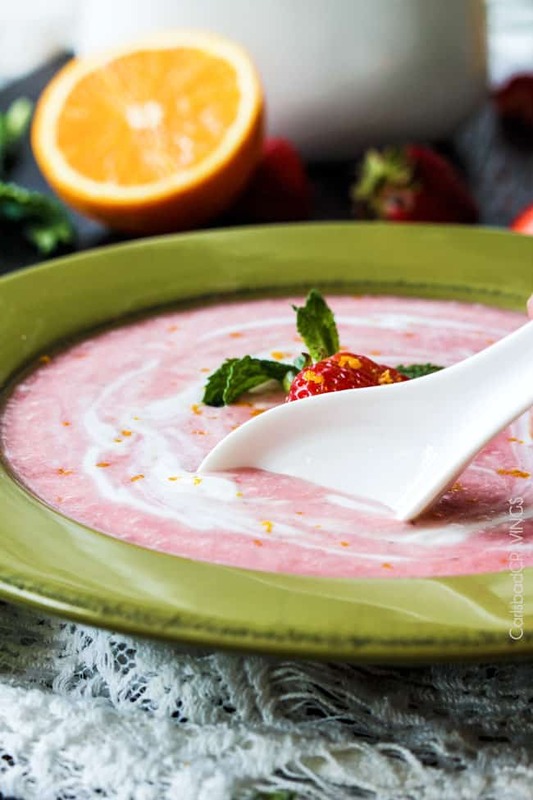 Strawberry Soup makes a fabulous option for entertaining because it is safe – and delicious – to be eaten by all your gluten-free friends! 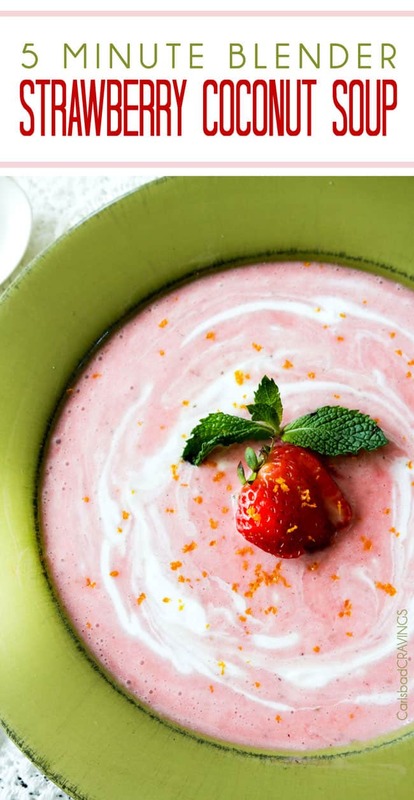 This refreshing Strawberry Soup is a quick and easy blend (literally) of fresh strawberries, vanilla yogurt, orange juice, coconut cream, and sugar enlivened by a touch of vanilla, ginger and cinnamon.How do I make my Soup Thinner?For a thinner soup, add more orange juice with another pinch of sugar as needed or you can thin with milk.How do I make my Soup Thicker?After all the ingredients are blended and you would like a thicker soup, add more yogurt. Take care not to blend too much once all the ingredients are incorporated or the blender were virtually liquefy the soup instead of leaving us with creamy body. You may serve this Strawberry Soup immediately but it is far better if allowed to chill for two hours in the refrigerator. Before serving, taste and add additional sugar if desired as the sugar tends to mellow after being refrigerated. Strawberry Syrup is stand-alone-delicious, or add a dollop of whipped cream or yogurt and garnish with fresh strawberries or chopped fresh fruit for presentation. A little garnish of mint is also delectable. How long with Strawberry Soup Last? Strawberry Soup Should be stored in an airtight container in the refrigerator. When properly stored, it is good for 3-5 days. CAN I Make Strawberry Soup Ahead of Time? Yes, please do! Strawberry Soup, as previously discussed, tastes far superior if chilled. You can make the Strawberry Soup up to three days ahead of time. What to Serve with Strawberry Soup? Now go and embrace summer with this Chilled Strawberry Soup recipe.Blend, crave, slurp, repeat. Want to try this Strawberry Soup Recipe? 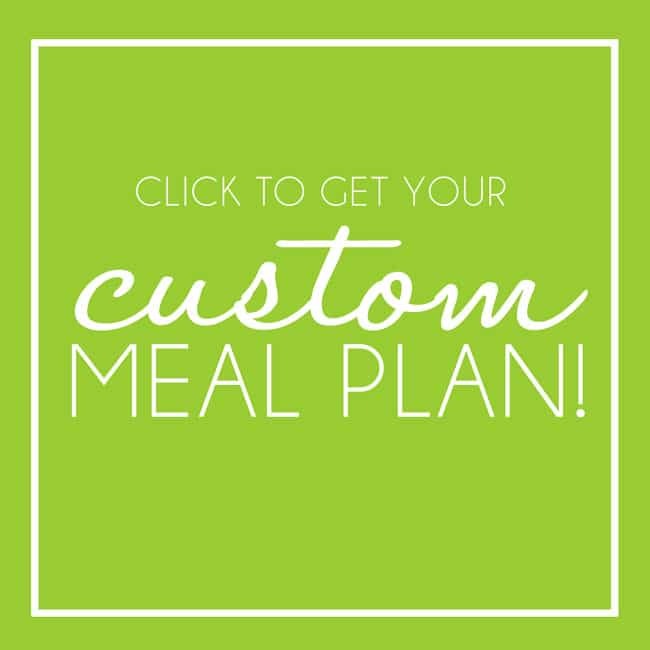 Pin it to your SOUP, HEALTHY or LUNCH BOARD to SAVE for later! Strawberry Soup infused with coconut and vanilla yogurts is silky, sweet and creamy all made in your blender! This chilled Strawberry Soup recipe is wonderfully refreshing. It makes a fabulous make ahead dessert or festive side and will have you slurping up summer one smile at a time. Add all of the ingredients to a blender and chop then liquefy/puree until smooth. For a thicker soup, add more yogurt, for a thinner soup, add more orange juice with another pinch of sugar as needed. May serve soup immediately but even better chilled for at least 2 hours. Before serving, taste and add additional sugar if desired as the sugar tends to mellow after being chilled. *1/3-1/2 depending on how much cream is in the can. Refrigerate can of coconut milk for at least 24 hours then it is easy to scoop the cream off the top after it separates. 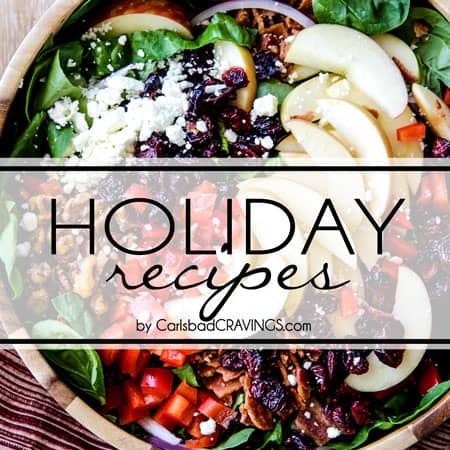 *The coconut cream adds the creamy coconut flavor but if you want to go for an almost nonfat soup, you can eliminate the coconut cream and add a little extra vanilla yogurt to add some of the creaminess back in. This is definitely on my list to make tomorrow, just as soon as I go get me some strawberries! I showed the picture to my daughter and all she said was, “oooh, yummmm!” I will let you know how it turns out. 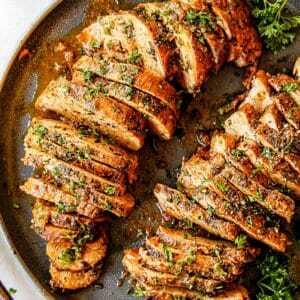 Yes, easy and delicious – can’t beat that! I hope you love it! some of the most unique recipes, never knew fruits and chicken can be used to make such yummy soups. this honey almond granola fruit salad is just too good, awesome recipe. Thank you so much! So happy you are enjoying it! Wow, some of the most unique recipes, I never knew fruits and chicken can be used to make such yummy soups. 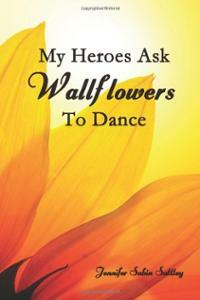 I think I will try do it for my family. Thanks for sharing. Thank you so much Lawrence! I hope you and your family love it! The “Lemon Poke Cake” looks amazing! I’m sure it is tasty, too. This is why, I will try it for my family. Thank you. Thanks Dawes, I think you will love the Lemon Poke Cake – it is one of our family favorites and super easy! I hope you enjoy the soup too! 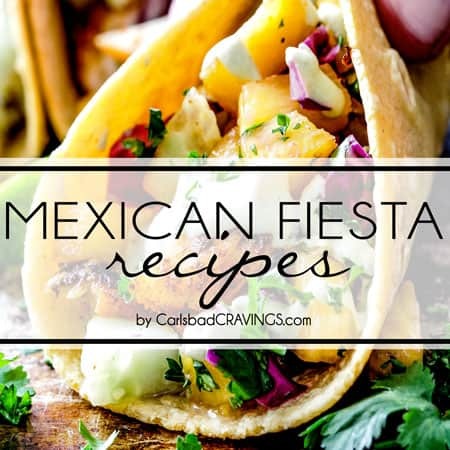 Thanks Jen for sharing this awesome recipe. I like nothing more than healthy fruit soup and salad. The pics are mouth watering, yum! You are so welcome Nora, thank you so much! I really love Strawberry and i always looking for some great recipes about it. Strawberry Coconut Soup it looks so yummy. I will try to do ASAP. Thanks so much Linda, I hope you love it! You are so welcome Kathy, thank you for your comment! 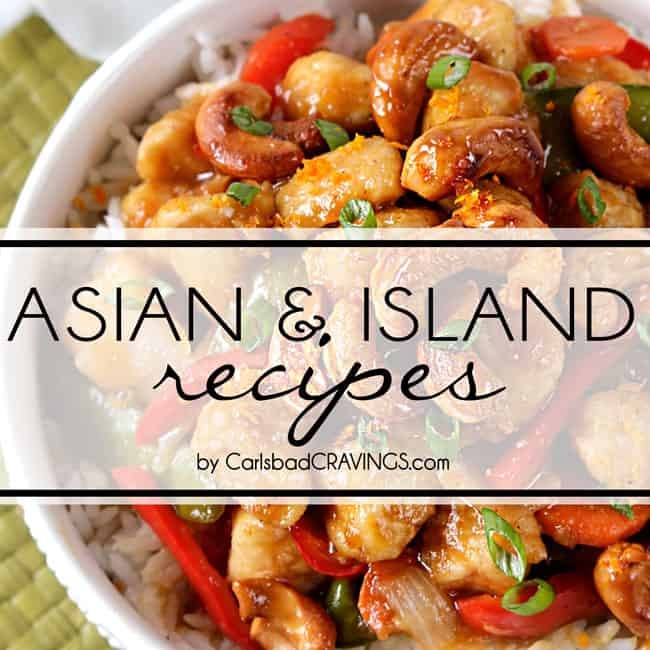 doesn’t get better than simple and delicious recipes! You are so welcome Kathy, I hope you love it! 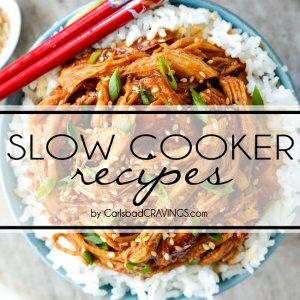 Great recipe, it looks amazing, can’t wait to surprise my wife with this! What is the yield on the strawberry soup? Hi Maureen, I believe its about 6 cups. thanks for the posting that make me hungry ! Hi Daniel! As a strawberry lover, I think you will especially love this soup – excited for you to try it! 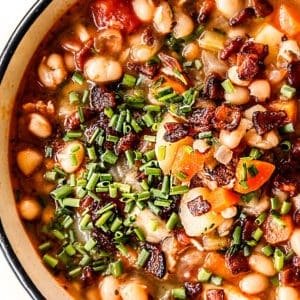 Thank you sharing this Awesome recipe, Can’t wait to try it out! You are so welcome, I hope you love it Abigail! I had a Carlsbad Cravings Easter for 2018. I started with this luscious, sweet but not too sweet, rich soup. Try this soup. Way yum. The only change I made was use frozen strawberries because of the flooding that took out the fresh strawberries from our area. That was a wonderful treat because I had strawberry ice cream right after I mixed this and then after letting it sit overnight in the refrigerator, the flavors blended and the soup was decadent. I am a huge fan of strawberry soup and I can honestly say this is the best I have ever had. Thank you again. 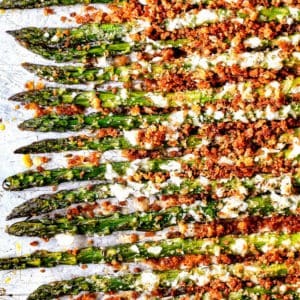 Another recipe for the go-to binder. I also made your brisket, mac-n-cheese, and rosemary ricotta corn. We ate sooo good!! 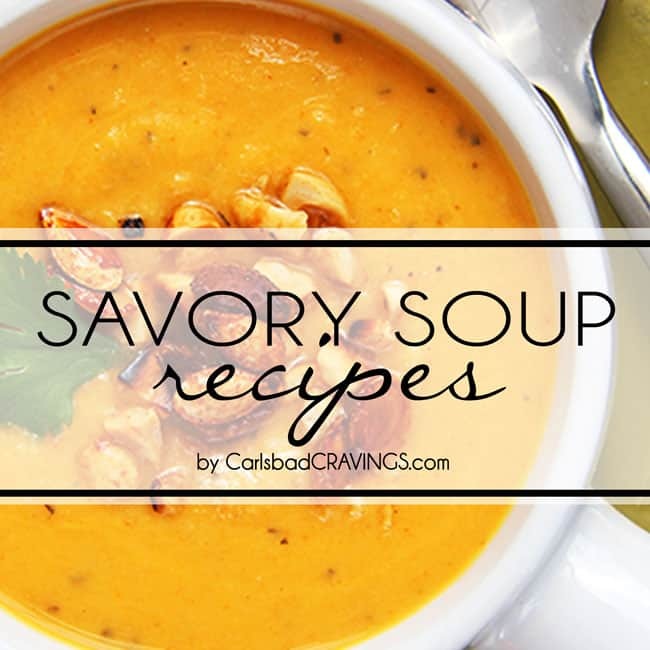 I am honored you had a “Carlsbad Cravings” Easter Sandra and that you chose to make this soup! 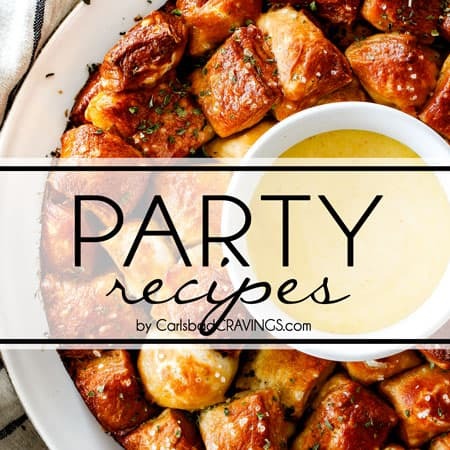 Your entire menu sounds absolutely fantastic – you are quite the amazing hostess!